We express so many kinds of love in our lives: love for a parent, a child, siblings, friends. Valentine’s Day is a great time to show kids how to love each other as a family.I’m not going to tell you to say it with candy – these Valentine’s Day gifts kids love are free from sugar and will be love tokens they’ll keep for a long time to come! Growing up, Valentine’s Day wasn’t just for lovers. My mom would put red hearts and doilies up in the kitchen, and we’d get a special treat at breakfast. Sometimes, my dad would get us girls a little gold bracelet or something special. The first year I was in college, my dad sent me a lovely heart bracelet, since I was away from home. Sweet, right? It certainly made me feel less “left out” of all the mushy-romantic love stuff happening around me! So why not send a message to our kids that love is found first in your family!? Show love through acts of kindness and generosity, a hug and cuddle, giving them some quality time playing a game, or speaking love into their hearts by affirming their special place in your world. Young kids are often so tangible, so a physical gift reminds them they are always in your heart. Show your child that gift-giving doesn’t have to be one-way. Cuddle+Kind dolls are the sweetest handmade knit creations I’ve ever seen. Cuddle+Kind dolls are a fair trade toy handmade in Peru of soft 100% cotton yarn and hypoallergenic fill. They make a lovely heirloom quality gift for children. And, they are a gift that gives back: each doll purchased donates 10 meals to hungry children in North America and around the world. As you tuck your child into bed with their Cuddle+Kind doll, tell them the story of the signature 10-meal wristband that comes on each doll. My boys have enjoyed taking Everest the Penguin and Wyatt the Fox everywhere with them. Which gives them a chance to share the meaning of these stuffed animals with other people and spread the love! These dolls come in two sizes (little 13″ and regular 20″). Read more of the Cuddle+Kind story on their site and how 1 doll=10 meals. You’ll love seeing how this company is loving others! For Valentine’s Day gifts kids love to enjoy over and over, give them books! 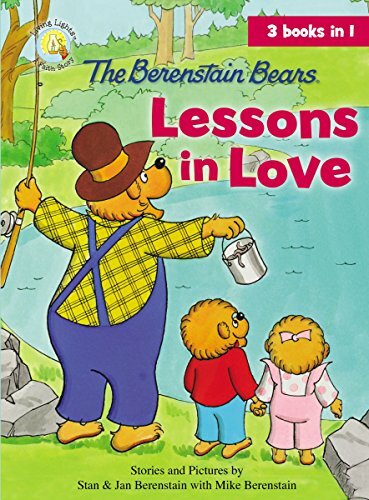 Books always make great gifts, especially when they teach children how to love each another. 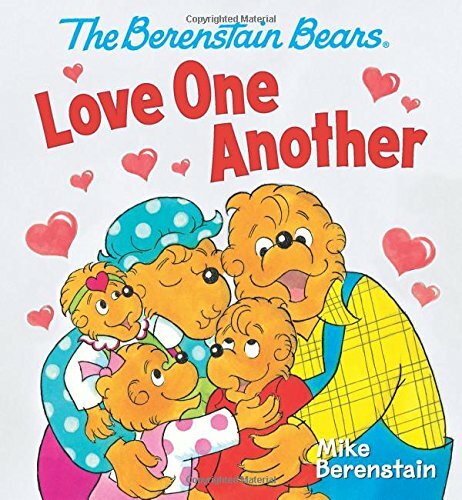 Zonderkidz Valentine’s themed titles from favorite series like The Berenstain Bears share fun stories and important life lessons about loving and giving. 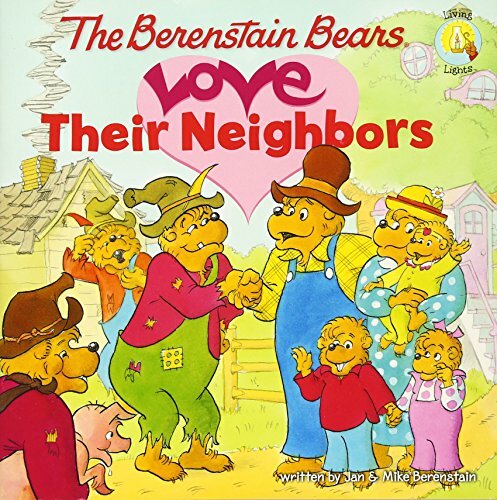 We’ve enjoyed Love Their Neighbors, and Lessons of Love with our boys. 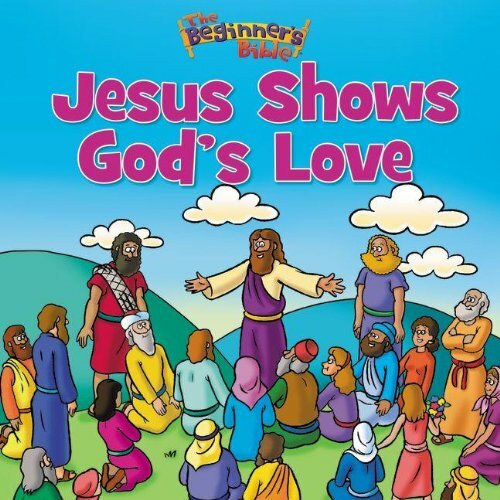 Jesus Shows God’s Love from The Beginner’s Bible series tells children in simple language the way Jesus’ earthly ministry of love began. 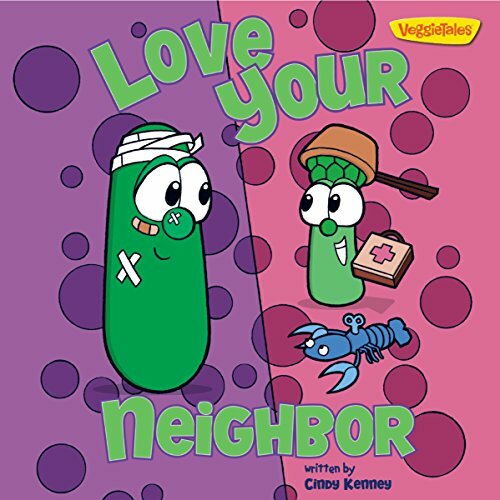 Veggie Tales fans will enjoy Love Your Neighbor , which discusses a Big Idea about how to treat other people. 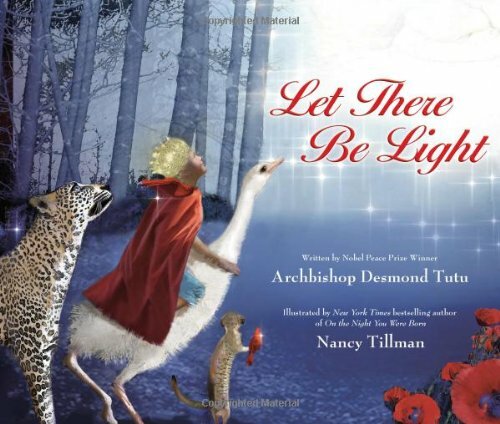 A gorgeous book about God’s love for Creation is Let There Be Light from Archbishop Desmond Tutu and author/illustrator Nancy Tillman (On the Day You Were Born). The illustrations are breathtaking, as in the flock of birds pictured above. The pictures and gorgeous text tell the story of God’s Love in Creation in a way kids will delight to hear and adults will enjoy reading over and over. Some kids love the gift of quality time – so spend an afternoon with this Chocolate Cookie Shop play idea. You’ll find a recipe to make your own scented chocolate and berry playdough which is perfect for Valentine’s Day! Or make this quick upcycled Heart Matching Game to play with your preschooler! Gift your toddler or preschooler this Valentine’s Day Sensory Bin experience! Easy to put together from things around the house or inexpensive items from the dollar aisle! Older kids may enjoy this “Write” Friends Valentine’s Day Activity Card – it’s a card and a gift! Do you give Valentine’s Day gifts in your house? How do you share the love!? Thanks to brands mentioned above for providing items for this post. All opinions are my own. Such a cute post! I <3 Everest The Penguin!!! We don’t usually do a whole lot for Valentine’s Day. This year, I’ll make cup cakes with my daughter. I bake cookies with my kids. Otherwise we don’t make a big deal about Valentines Day. We usually get some steaks and cook out on the grill and watch a movie from home. Going out to eat is just too crowded for us. We usually stay home and celebrate with heart shaped pizzas! Our daughter’s birthday is the 16th, so we will be having a Valentines themed birthday party for her. We go out for a Valentine’s Dinner and a movie. We are celebrating Valentine’s Day this year by taking my Mom out to dinner since it’s also her birthday! Well, I am single, but my brother, mom and I usually order in food from a nice place and have try to have a good day! We might have a special VDay supper. I like to give my kids a couple of valentines gifts like candy, a stuffed animal, coloring book. Yes,we usually do a little something fun together. We’re not sentimental so no traditions. The books are my favorite. I would love to have these for my little guy. My husband and I usually celebrate by going out for dinner on a Different night. My daughter and I celebrate together with heart-shaped pizza, balloons, and fancy cupcakes. Sometimes we have her cousins join us, but not this year. It’s not a huge celebration here but I do buy my kiddos a small treat. We usually go out to brunch as a family on the weekend closest to Valentine’s Day, too much hassle to go out to dinner on the 14th! we give handmade cards and bags of candy to our kids. We usually celebrate with dinner and a movie. We’ll be going out to eat on Saturday probably – we are hoping by ourselves and dd will get to stay the night with grandma. I might be working Valentine’s night so we aren’t planning anything! We celebrate by going out and gifts. My daughter and I make cupcakes or a treat for daddy every year. We actually do not celebrate Valentines Day, but since it is my parent’s anniversary, they usually go out. we usually stay home and have dinner together,,we dont exchange big gifts,,usually just some chocolates. I love to celebrate Valentine’s Day! I don’t have a husband yet, but I do give gifts to my siblings and parents as well as decorate like crazy. 🙂 Last year we had a special dinner with lots of red foods, and I made a Valentine’s cake for dessert. Such fun! I will probably make red pancakes for breakfast and we will go out to dinner. Nothing too fancy, I am actually excited about this year because my church is providing free childcare for 3 hours so parents can go out! Valentines day means heart shaped sprinkles on all our food. We decorate with hearts and red tablecloths and make a special meal. Usually Dad will have a gift for me and each of the girls around the table. We make some heart crafts and we enjoy a nice dinner at home together. I like to get the kids books for Valentine’s day and my husband a card and his favorite candy bar. We will be visiting our library’s story time and then baking cupcakes at home.